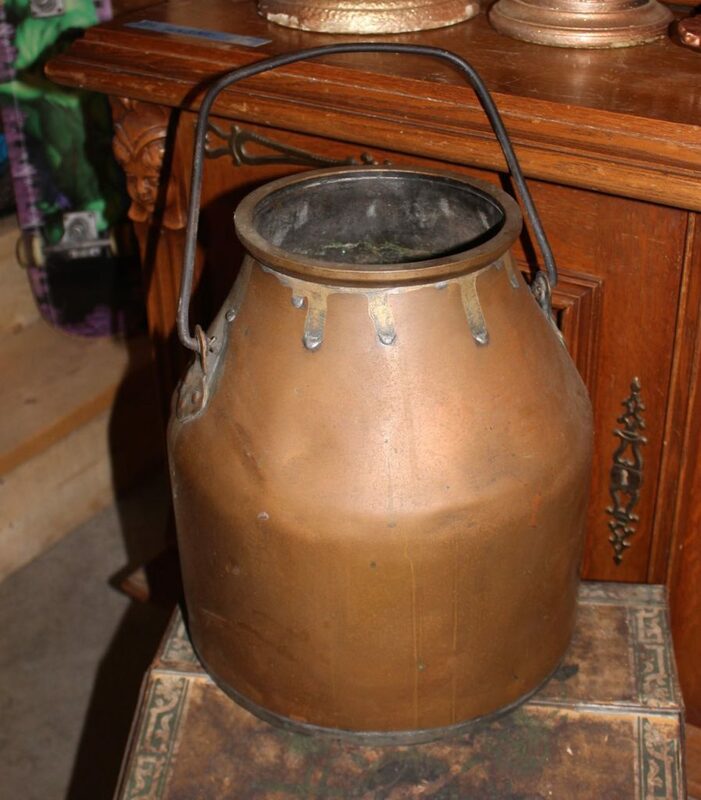 This is a beautiful Arts & Crafts copper bucket with a decorative sauter drip edge and a heavy iron handle. I’m not sure what this piece was used for originally–it’s the size of a milk can but certainly much more high end than the typical milk can. Excellent condition with “as found” unpolished patina.